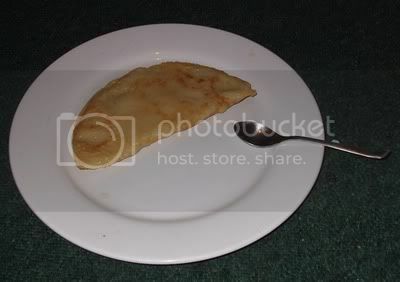 Blog Posts » Just in time to say happy pancake day! Cutting it close here as there's only ten minutes of pancake day left, haha, but hope you all gorged yourself silly and, in case anyone's interested, here is Lyle's Tasty Vegan Pancake recipe!! Use the same amount of flour and soya milk. Mix together then add a couple of tablespoons of baking powder and oil. Stir thoroughly, and add extra oil to the pan and heat before adding the mixture. 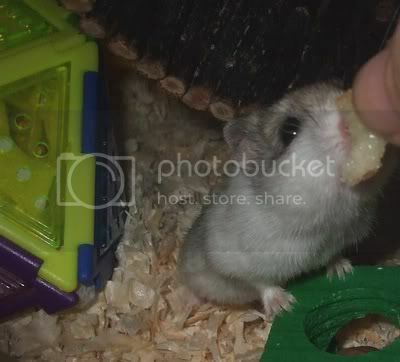 And of course Pearl, who we are trying to fatten up at the moment, had to have some too! Thank you Lyle for my gorgeous pancakes, I'm only sad I couldn't manage more than three! been making pancakes since Sunday because eating them just on Tuesday is not enough so I always start early. A late happy pancake day to you all. We went out yesterday and I was to tired to make them when we got back so are having them today. Oh by the way today is Ash Wednesday....... is that when we eat all the burnt ones .......sorry just asking !!!! We have our pancakes tonight because a friend turned up unexpectedly last night and we only had one bottle of instant pancakes! We had pancakes at the weekend so hubby decided that he didn't want them. Should we be giving something up for lent now? If so I give up booze and cheese. What if I agree not to give up booze !! would that work. Posted By: chief chicken We have our pancakes tonight because a friend turned up unexpectedly last night and we only had one bottle of instant pancakes! CC. What is "Instant Pancakes" in a bottle??? It must be something out of USA. GB couln't have devised anything so money grabing. When we started to get all these "wonderful" new lazy products from over there, my Mum said she would stop cooking once we had tinned gravy. Thankfully I think she died anyway just before that happened. It's a Betty Croker thing and it's dust in a plastic bottle to which you add water and shake like hell. Et voila! 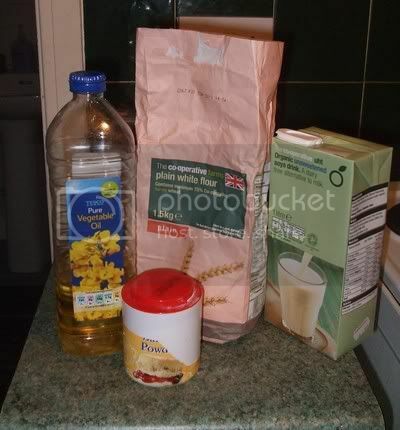 Instant pancake mix; ideal for people like me who could burn water and/or hate cooking. And they taste fine, although I have no idea what's in it. Probably genetically modified earwigs and brussels sprout extract! Ugh, tinned gravy!!!! That brings back memories, first time I came across it was in the states. Brother in law suddenly jumped up from the table announcing he fancied gravy and would go open a tin !!! I tried some and it was difficult not to gag, being polite I did manage to eat it and was thankful I only tried a small amount. You can not beat gravy made the old fashioned way.